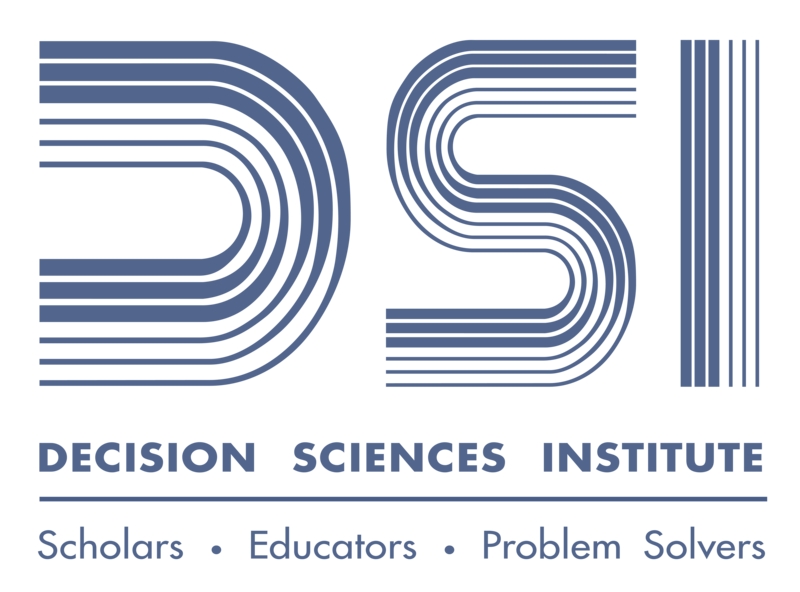 Welcome to the 2016 DSI conference proceedings. The proceedings include all papers that were submitted and accepted as full papers, although they may appear in the proceedings as either the full paper or an abstract of the full paper. To view the roceedings, please click on the paper title (in alphabetical order). Click here to download the E-Book version of the 2016 Proceedings. This study aims to find interrelationships among internet users’ perception, attitudes, and behavior of clicking toward online advertising by using multiple group structural equation modeling to analyze responses from college students in Taiwan and Canada. This study attempts to develop a diabetes self-efficacy conceptual model and presents the diabetes PHR self-efficacy scale (DPSES) as an assessment of using PHR application in diabetes self-care field. A divide between urban and rural users with respect to adoption of advanced mobile technologies and services. We propose a framework to develop an index to measure this divide. The index can be used by different stakeholders to measure the performance of MNOs, which will help in decision-making. This study proposes a heuristic data sampling approach to solve the problem of mining big data while not changing the association rule classification method. Applying the Heuristic Data Sampling Approach to a big data problem, we can generate the result that is comparable to the one using the whole dataset. We apply an integrated supply chain framework to the healthcare industry in the U.S., drawing support from lean systems theory. Our propositions highlight how hospitals could deliver high quality care using an integrated supply chain perspective, coupled with internal lean practices. We discuss implications of our research. Academic programs often seek methods to integrate the technical skills and non-technical skills sought by employers. A literature review explores the diverse interpretations of non-technical skills in order to build a logical and comprehensive topology. The authors then test the topology using a robust dataset of online job advertisements. We reconsider the Misperception of feedback (MOF) hypothesis that is central to dynamic decision making theory. Field studies of manufacturing supply chains in India revealed an alternative mechanism of overordering, which I call supply line discounting. An eye tracking experiment helps flesh out and validate this behavior. This paper develops a multi-objective decision model that incorporates quantitative and qualitative decision objectives of initiating a supply chain collaboration program. While the model evaluates the trade-offs between conflicting objectives of the decision, it helps the partners to quantify and communicate their views and preferences on key decision factors. A mathematical programming model is developed in this paper for the problem of optimally allocating a product by a monopolistic retailer to its brick-and-mortar and online stores under the uncertain demand following a uniform probability distribution. Impacts of changes in six key model parameters on the retailer’s profitability are examined. In this study, we test various simple trading range break-out rules for the NASDAQ index. Our results indicate that simple trading range break-out rules do have predictive power for profitability. It does not support the market efficiency hypothesis. An ADP is a production and delivery plan LNG suppliers to fulfill contractual requirements. It is subject to random disturbances during the implementation, which may increase the planned costs. We develop a model simulating the ADP implementation along with contingency plans, and compare alternative ADPs using the model. Based on a global survey, this paper presents empirical data to support evidence of a number of virtual team types. The research studies the relationship of the identified team types with project success, their ability to cope with temporal dispersion and their level of usage of communication technology. Big data is often seen as a silver bullet when applied with the appropriate analytical tools; however, there is a downside: dependence. The limits of big data has not been vetted in research. Through General Systems Theory, this work provides a new perspective on of big data analytics. Presents several ideas for teaching quality in an introduction to operations management class. Contained is an outline for the subject of poka yoke along with a short and a longer assignment. Then the paper describes a defect collection and discusses its usefulness in adding interest to the subject of quality. The paper develops the integrated inventory models with imperfect quality and environmental impact. We assume that process quality can be improved through capital investments. We consider operations decisions involving carbon emission. An algorithm is presented. Finally, a numerical example with sensitivity analysis is given to illustrate the results. This paper seeks to overcome limitations of previous studies to provide a more decisive test of relationships implied in the Baldrige Criteria for Performance Excellence (CPE). Analysis of applicant scoring data from 500 Baldrige Award applicants provided strong support for the CPE framework, with all hypothesized relationships between constructs confirmed. Many product review websites have been established to collect consumer opinions about a variety of products. This study explores the factors underlying the acceptance of consumers’ online review usage and the factors that affect online customers’ use of online reviews. This study furthers the body of knowledge on online reviews. In order to generate an optimal outcome of implementing social entrepreneurship, this study applied a new approach – design thinking – to build up valuable implementation mechanism for social entrepreneurship projects. The model was applied to the northern portion of the Lower Peninsula of Michigan, USA. The optimization model, selected locations, and results provide one tool to determine the optimal delivered cost, energy consumption, and GHG emissions for candidate locations. In this paper, we compare the efficiencies of the eight major renewable energy sources that generate electricity. We use Data Envelopment Analysis (DEA), to determine the most efficient renewable energy source with pre-determined input and output variables. We apply four different analytical approaches to rank these renewable energy sources. The focus of this article is to demonstrate the relationship between lean manufacturing and integrated new product development. Statistical results indicate compared with conventional companies, lean manufacturing organizations are able to develop new products with 63% better quality, 52% less development time, 45% less development cost, and 36% less manufacturing cost. Are Service Productivity and Quality in Permanent Conflict? The purpose of this study is to explore the roles of service productivity and service innovation, the relationships of service productivity and innovation with customer satisfaction, and the effects on firm performance. Thus, this study verifies that there are positive relationships among each variable through a simple classification analysis. The benefit of different artificial reef structures to fish populations remains unknown. Big data analytics techniques were used on a large database on species and abundance of fish at artificial reefs in the Northwestern Gulf of Mexico to determine if artificial reef structure impacts the presence of different fish species. The purpose of this paper is to examine the extent to which total quality management (TQM) practices have been implemented in Indian service industries. An empirical study was conducted in Indian service industries and based on the findings a framework is proposed for effective implementation of TQM. The purpose of this paper is to examine non-linear aspects of the asymmetry-performance relationship under varying conditions of trust and innovation. The principal finding is that the influences of asymmetry on performance, in varying trust and innovation contexts, have unstable characteristics and have non-linear paths. A service triad comprises a client organization, its customers, and a third-party vendor that serves the customers. In this study, we conceptualize the meaning of stability of service triads and explain how relationships in a triad develop or deteriorate. We also identify the key drivers of stability in such relationships. We propose an emulation-simulation approach for classifying web-based applications and testing new stacks for each class of application thoroughly before deploying all applications on the new stack. The method maintains quality of service while reducing costs of upgrade and maintenance. The work is based on a real-world application. We consider a Bermudan put option holder seeking to maximize her discounted expected payoff subject to a maximum allowable payoff variance. Under a bilateral Gamma asset price model, we show that the option’s price is the optimal value for a linear maximization problem for which we establish a lower bound. This article explores board composition in relation to the persistence of companies as listed entities on the Australian Securities Exchange (ASX) between 1990 and 2015. A data-driven investigation into existing theory of board heterogeneity evidences relationships between the proportion of non-executive directors, listing length and delisting likelihood. This study revisits Bowman’s paradox and examines if such paradox is observed for East Asian markets. Using a recent five-year dataset for firms headquartered in China, Japan, and Vietnam, we find an inverse risk-return relationship. Further analyses indicate that the core assumptions of Prospect Theory can help explain this association. This paper focuses on how instructors can better design and develop video lectures to improve student learning outcomes. Incorporating multimedia principles as well as lessons from practice, it is shown that effective video lecture development requires the consideration of length, structure, interactivity, accessibility, and personalization. Can Corporate Entrepreneurship Attributes in Acquired Firms Avoid Their Acquisition-Turned-Divestiture Fate? More than 50% acquisitions are divested within the first year of operation. We argue that presence of corporate entrepreneurship attributes in acquired firms is vital for their successful integration with their acquirers. Connecting corporate entrepreneurship literature with M&A literature is the key objective of this paper. While consumers’ individual differences have been frequently cited as important constructs in marketing, IS research has focused on examining the technological aspects of MC systems. Recognizing the need to improve existing IS measures, this study adapts Consumer Self-Confidence (CSC). Results demonstrate the role of CSC as a moderator. The purpose of this study is to develop a theoretical model based on the tripartite model of attitude to examine consumers’ intention to use mobile banking. This study explores the reporting Corporate Social Responsibility (CSR) and Creating Shared Value (CSV) programs in organizations. We analyze Bloomberg data that is based on publicly disclosed information. Currently companies are measuring their own progress on their social benefit and business value with significantly different reporting formats. Cloud-based EHR is a substitute system that solve some of the technical issues that organizations face when implementing in-house systems. Studies on cloud-based EHR systems are scarce. This research in progress investigates the critical success factors impacting the implementation of cloud-based EHR systems. This research examines the placement of cross aisles in order picking operations and the use of various storage policies. The results showed no difference between even and uneven placement of cross aisles and that within-aisle storage is better than across-aisle and random storage. We propose CSR contributes to employee satisfaction by marketing innovation. The theoretical framework was empirically tested using multi-source data obtained from 306 observations of 102 Korean companies. This study finds marketing innovation fully mediates the effects of CSR on employee satisfaction. This study provides which CSR impacts on employee satisfaction. Negotiations tend to influence long-term business relationships. The paper proposes that different information disclosure strategies adopted in negotiations will affect participants’ perceived fairness, which will has further positive impact on business relationships. Experiments were conducted in two multi-bilateral negotiation settings. The results support the propositions. This project examined the peculiar challenges of the growth of e-commerce in developing countries.An Interpretivism research philosophy was employed for this research.The study was carried out on both consumers and operators. In the research study,a total number of 225 questionnaires were distributed to consumers of which 200 responded adequately. Developing countries’ importance as economies and as foreign direct investment (FDI) actors, mainly M&A, has increased recently. Models of M&A and governance have focused on developed-nation firms moving to developing nations. We offer propositions to understand how developing nations use corporate governance, with its institutional implications, in developing-developing and developing-developed relationships. Constructing reliable confidence intervals for the average demand per period of empirical intermittent demand is challenging. Traditional methods are ineffective in modelling this demand. Croston’s method has shown promise in forecasting average demand per period. We investigate the suitability of adapting this method to form control charts for intermittent data. Drawing upon the perspectives of self-efficacy and relationship marketing, this study examines how efficacy beliefs affect customer collaboration in online collaborative communities. Community commitment and community trust serve as important constructs that mediate the relationships between efficacy beliefs and customer collaboration intention. Research implications and limitations are also discussed. Using a market share attraction structure of advertising competition, this research introduces a parsimonious inventory-advertising model for which competition is limited to two symmetric firms and obtains its related comparative statics. The derived comparative statics remain robust upon considering non-dominant firms competing in an asymmetric oligopoly of N rivals. Firms must understand how well their social media platforms are performing to achieve the desired outcomes. This study identifies four dimensions of performance quality and assesses performance quality levels. This study evaluates the impact of brand origin and industry type on a firm’s performance of social media activities. This study examines the relationship between external software characteristics and vulnerabilities. Based on the analysis of 227 vulnerable software products, our results showed that the number of compatible operating systems has a positive effect on vulnerability severity and vulnerability frequency. We propose an integrated model for the design of study abroad programs based on the Experiential Learning Theory (ELT) proposed in the literature. The instructional innovation contained in this integrated approach was successful by all measures. Implications for faculty members are discussed. This study examines how travelers use smart tourism technologies to enhance travel satisfaction. We find that the attributes of these technologies promote both explorative and exploitative use, while security and privacy concerns impact negatively. Further, explorative use influences overall travel experience satisfaction, and exploitative use mainly enhances the transaction satisfaction. The driver for this paper is the ongoing discussion around education skills gaps; what the education industry is teaching does not match up with what employers need. The paper proposes and documents a set of introductory programming concepts based around implicit learning and cognitive science to help address this gap. Past research based on many different theories investigated factors that may influence employees’ ISP compliance. This study proposes a research model based on the Awareness-Motivation-Capability framework to unify the factors. A harmonic approach in managing employees’ ISP compliance can create optimal outcomes. This is a proposal to provide industry, business, and financial data appropriate for empirical research into issues that involve publicly-owned corporations listed on public stock exchanges. This project involves the development of programs and scripts to access and analyze data of the Security Exchange Commission’s EDGAR for primary empirical research. This paper studies earnings management’s effect on firm’s earnings growth rate by using performance-matched income increasing discretionary accruals as a measurement of earnings management. The finding is that there is a positive association between earnings management and short-term growth rate regarding the amount and its distribution. Many scholars suggest that firms decouple standard adoption and compliance. This study focuses on the compromising strategy and presents the conditions under which decoupling and compromising strategies are pursued. The analysis is based on social audit reports of the BSCI for 90 emerging market producers supplying garments to Western buyers. International company’s value creation in service related activities grow with its service innovations and its service manager’s knowledge of cultures and organizational structures of target markets. This research focuses on the relationships between cultural heterogeneity of the global service market and service innovation growth at country and firm levels. The authors have used multiple Supply Chain Management simulations in online courses. The paper stresses team organization and communication approaches that promote Education/Professional Development. Students and teams have found the approach to be very useful for both SCM knowledge development and their abilities to work in virtual team environments. Hospitals throughout the U.S. are facing increasing demand and employee shortages. This capacity issue has led to understaffing in some hospital areas. The current study examines the impact of understaffing in hospital-unit respiratory care and the impact to missed treatment rates. The moderating effect of teamwork is also considered. This study develops and tests empirically a conceptual model that captures the relationships among a firm’s new product development flexibility, customer orientation, and market performance. The results show that the effect of new product development flexibility on firm performance is contingent upon the type of innovation strategy. The study empirically explores the impact of supply chain collaboration on logistics performance of firms in Ghana’s petroleum downstream. The findings of the study conducted suggested that achieving internal collaboration should be the focus of firms as it positively impacts both the logistics performance of firms and their external collaboration. This paper discusses the challenges related to flipping the classroom in a spreadsheet-based graduate decision modeling course. The purpose of this paper is to extend the conversation on flipped classrooms to the thorny world of teaching spreadsheet decision modeling at the graduate level. This research features SteadyServ and Kuehne + Nagel in their use of “Internet of Things” (IOT)-enabled sensor solutions in product monitoring. The following are applied in understanding the IT solution deployment experiences of both firms: socio-technical systems theory, affordances theory, and structurational model of technology. Economic necessity, relational ties, and emotional connections are important conditions for suppliers to form impregnable exchange relationships (IERs) with buyers. This study suggests that helpfulness, friendliness, uniqueness, and flexibility are primacy attributes of suppliers helping them to satisfy those IER conditions, thus enabling them to sustain beneficial relationships with buyers. Data mining methodology was used to study content of press conferences and State of the Union messages. Charismatic leadership and a measure of “greatness” in leadership from C-Span panels of historians were dependent variables. The set of independent variables included measures of values, motives, rhetorical style and intellective ability. High performing organizations are using analytics and evidence-based decision-making. Human resources has been slow to adopt this innovation. This study applies innovation theory to study the adoption and use of HR analytics to identify why adoption rate may be lagging. Attitude was found to be important regardless of organizational adoption. It is the purpose of this study to make an analysis of the Mergers and Acquisitions, affected by the CEO characteristics and mediated by the Environmental Munificence. The motive of this paper is the high economic scope of the cross border M&A in the pharmaceutical industry. Building upon the concept of information exchange for business sustainability that gathers, stores and makes available the data related to business processes and products contributed by organizations through which this product has traveled, we conceptualize how the information from such information exchange will affect traditional methods of doing business. We investigated the relationship between operational practices and operational capabilities. We conduct a qualitative research. Our main results were relate the operational practices as an antecedent of operational capabilities, and the creation of a typology divided into two constructs: Across-the-Board Capabilities and Standalone Capabilities. initiatives are positively received, with a slight difference between on-site and online students. Integration of Teaching and Research: The Active-Learning and Research-Led Approach in Integrating Multi-Disciplinary Concepts in Operations Management. The focus is using the research-led approach wherein student learning is enhanced through a product redesign game to understand the interactions between cost goals and information timing. The continuous opportunity to use the game also provided data for further collaborative research that was published in a top-tier research journal. This research examines geographic patterns of internet usage in US counties for engaging in e-commerce and online financial activities. We posit associations of fifteen socio-economic independent variables with dependent indicators of e-commerce. Spatial bias in regressions is diagnosed. Strategies to remediate the e-commerce digital divide in US counties are recommended. This study investigates a closed-loop supply chain, consisting of a manufacturer responsible for the first-market sales of a new item and a third-party refurbisher responsible for the second-market sales of a refurbished item. We then introduce two different supply chain models with different structures and revealed their distinct characteristics. That there is marriage penalty in the income tax is documented. There is also structural penalty in the AMT. This represents an investigation of the magnitude of the AMT marriage penalty. Calculations of the marriage penalty is based on various assumed levels of deductions and AMT adjustments are developed. There is confusion surrounding the service-oriented architecture or SOA, which had been hailed as the holy grail of enterprise integration. Some claim that SOA is dead. We use the methodology of real options to assert that SOA is far from dead and is an attractive technology bet for most companies. This research focuses on the optimal design of discrete Dutch auctions with transaction cost. With the consideration of certainty/uncertainty about the number of bidders and salvage value, the objective is to maximize the seller’s expected net revenue by determining the optimal number of bid levels and its asking price. This study reports on how web-based training and testing platforms provide opportunities for students to leverage the capabilities of various information and communication technologies to engage in self-directed learning. The purpose of this study is to measure the Impact of a Web-Based Blended Learning Platform on Student Learning. CEOs are the company’s voice to internal and external actors to explain and defend their performance and that of their organization. We conduct a qualitative analysis of twenty-six episodes of PBS’ CEO Exchange covering 53 CEOs to explore what messages CEOs craft; they focus on themes of surviving, parenting and captaining. This paper demonstrates a multi-methodological approach to understanding brand creation in an international sports event. It describes use of Parent et al’s model and outlines how Beer’s Viable Systems Model provides complementary insights about branding and organizational processes suggesting revision of Parent’s model for the Sevens Wellington event. We propose the mid-term planning coordination method between maker and retailer via capacity reservation based contract. Also, we suggest the more complicated demand information that we called (P, Q) demand information. in the research, not the simple demand forecasts, is indispensible for the proposed coordination method. This study reviews the literature on serial and parallel or portfolio entrepreneurship and argues the importance of differentiating between them when conducting research. The entrepreneurial element that researchers seek can only be found deep within the metacognitive processes of parallel entrepreneurs; those who have demonstrated the repeated ability to succeed. With a rapid growth of smart phone users, mobile banking has gained significant importance and the growth is accelerating. However, not all consumers are ready to embrace this technology, especially in the developing countries. The objective of this study is to explore determinants of mobile banking adoption in Thailand. This research in-progress aims to investigate the attitudinal and technological factors impacting resistance to mobile banking in Ivory Coast. No research on resistance of mobile banking has been done in Africa in general and specifically in Ivory Coast. By conducting this study, we hope to contribute to both practice and academia. This study utilizes discrete event simulation (DES) in a health care setting: 1) to simulate the change in volumes for services in the emergency department and the urgent care; and 2) to determine how to staff each service to meet appropriate levels of service and financial stewardship. In this study, we propose a mathematical model for constructing an efficient stock portfolio using distance function approach. For each objective, the ideal and anti-ideal solutions are calculated to form a new objective. A case example is presented based on Dow Jones Industrial Average data and results have been compared. Reshoring and offshoring have been investigated separately by the literature, undermining a deeper comprehension of the companies’ path of international expansion. Our paper seeks to fill this gap by understanding the interdependencies among the motivations that led to offshore and then to reshore production. One university implemented an approach to meet the ABET requirement that students are prepared to meet the needs of the engineering community. This paper describes how graduate students participate in a required, immersive, three-week, team-consulting course that marries development of technical management skills with practical application of non-technical (“soft”) skills. Few studies exist examining effects of open services innovation through service-oriented lenses. Paper develops a conceptual framework to evaluate firm performance by combining products and processes with services to gain competitive advantage. This paper serves as a potential catalyst for further research studies to promote firm value through services foci. The defective items detected at the inspection station in a garments production line, are generally scrapped or repaired on/off-line. In order to minimize the unit cost of production and determine appropriate repair or scrap decision, a fractional mixed integer nonlinear programming problem is formulated and solved optimally. Blood demand and supply are uncertain. Our study employs an econometric methodology known as ARMA-in-ARMA-out (AIAO) to “practically” place orders for donations instead of EOQ and inventory policy changes that are not allowed due to governmental regulations. We show following above methodology matches supply and demand and increase profits. During last few decades, several performance measurement techniques are developed from the basic OEE concept and are being implemented in different manufacturing industries. These newly developed measures have advantages and limitations over one another. The objective of this research is to evaluate these performance measurement techniques and their industrial applications. This research presents an alternative methodology to nonlinear approaches offered by Mircrosoft’s Excel Trendline functions. This paper discusses the limitations of transformations in prediction analysis and an experimental evaluation of an exponential regression procedure is conducted to investigate the performance of this nonparametric alternative. The results are encouraging. This paper focuses on the development and use of a performance measurement system using the APC model for a micro-irrigation company. The results provide insight for management to take corrective actions. This paper would be beneficial for those interested in evaluating performance in terms of productivity, price recovery and profitability. This research work focuses on building FX rate prediction model with special emphasis on the selection of suitable input parameters using two ANN techniques: (1) MLP and (2) RBFNN with 10-fold cross validation. The performance of models was tested to validate the results in terms of MAPE and MAE. In a buyer-supplier relationship (BSR), how is a manufacturer’s power related to its collaborative supplier climate and how do these two governance mechanisms simultaneously influence a firm’s performance? Evaluating 201 responses from senior manufacturing indicates that both power and collaborative climate are needed to sustainably improve overall performance. While there have been studies demonstrating private information can be inferred from social networks, few has taken a holistic view on designing mechanisms to prevent the inference attacks. In this study, we present a framework to proactively find possible inference attacks against users, and suggest minimal modifications to eliminate such attacks. This study investigates proactive quality incentive strategies in a three-stage supply chain, consisting of a final assembler, a first-tier supplier and a second-tier supplier. Five models are introduced by considering different incentive-offering paths among players. We then investigate their distinct characteristics and compare overall performances. In the following paper I argue that problem-solving and decision-making are just different aspects of the same multi-stage goal-oriented cognitive process. I prove my hypothesis by comparing stage by stage both the decision-making and problem-solving prescribed strategies and the description protocols. This paper presents an analysis of renewable two-dimensional Pro-Rata Warranty policy for an Advanced Remanufacturing-To-Order system for Sensor-embedded products. The goal is to predict a warranty period for end-of-life components using the sensor information about age and usage of each and every EOL product on hand to meet product, demands. This research examines re-slotting procedures tyat re-assigns SKU locations in a warehouse based on the SKU activity. The notion of re-slotting is to place high activity SKUs in premium locations near shipping and receiving. This simulation study compares the performance of 3 class-based rules for guiding SKU swaps between sections. Due to lacking skills, a drastic LE change, and new accreditation, our business school significantly redesigned our undergraduate business school core curriculum. In this paper we discuss the factors leading to the redesign, the components of the redesign, and expound on a critical element of the new curriculum: woven elements. This study sheds light on the area by providing a model examining the role of the perceived seriousness and playfulness associated with the participants’ behaviors. From analysis of empirical data from MBA students, this study reveals how the perceived playfulness and seriousness affect the game-based learning process. While many specialized business analytics programs have been started in the past several years, the need to address the shortage of managers who can apply results of analytics towards effective decision making have been neglected. 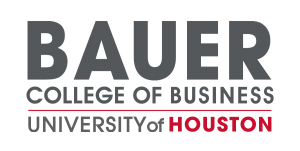 This paper reports on a data analytics acumen course required for all undergraduate business students. Should Suppliers Choose to be Leading Innovators? Utilizing a sample of 1039 supplier to customer base observations, our results, suggest that it would be advantageous for suppliers to take a supply chain perspective and strategically incorporate the innovation characteristics of their customers when determining whether or not to be a leading or lagging innovator. A three-sequential-phase framework was developed based on situation awareness theory. Using quasi-experimental research design, we executed the study with 33 students to complete the cloud computing use tasks. ANOVA was used to analyze the survey data.The results indicate that situation awareness is significantly different when experimental environment changes. While organizations recognize the important role of knowledge sharing, the number of studies investigate different factors that foster this behavior also increases. This meta-analysis tries to analyze the relationship between some most popular facets of social capital (trust, social interaction) and knowledge sharing under the individual level. Companies today are facing increasing regulatory, community, and competitive pressures to consider environmental issues while pursuing profits. The purpose of this study is to understand the extent to which GSCM practices have been implemented in Midwestern manufacturing firms, the driving factors for the implementation and the perceived benefits of GSCM. We propose an ensemble-based forecasting framework for making stock trading decisions. First, EMD and CEEMDAN are used for decomposing the financial series into various sub-series. Next, each series is predicted using ANN. Return on investment based on the trading rules of proposed ensemble models was compared with Buy-and-Hold strategy. A considerable body of research has illustrated that work-life balance programs are associated with a number of key employee outcomes. The current study contributes to this line of research by identifying some work-life balance programs necessary to the success of expatriates, especially female expats. Organizational labor forces are increasingly composed of workers who migrate across country regions or from other countries. Their children will enter the next generation of labor forces. We report results of an initial assessment of subjective well-being in children of migrant families in China across school type, grade and gender. Based on transactional cost economics (TCE), this study conducts a survey to collect data from 247 3PL users in China and examines effects of contractual governance (e.g. detailed contract, contract application), relational governance (e.g. trust, relational norm), and their interaction effects on logistics integration, which further leads to operational performance. The goal of this research is to explore classroom project issues across a wide variety of courses to formulate project management success factors that contribute to student team project success. The success factors might provide guiding principles for both faculty and students as they venture through the project management course. Drawing upon the Resourced Based View (RBV) including Dynamic Capability Theory, this paper developed Dynamic Extended Resource Based View (DE-RBV) to meet supply risk management requirement. Four different capabilities for supply risk handling are presented, i.e., Preventive Capability, Back-up Capability, Substitute Capability and Warning Capability. We review Little’s Law as a fundament tool to define primary supply chain metrics such as inventory turnover and cycle time. We propose a framework for supply chain performance analysis. We show empirical results of Dow Jones Indexed firms except financial institutions using the earns-turns matrix. There is a major research gap of designing a Supply chain risk management process integrating risk appetite of the decision maker and all stages of the process within an interdependent setting of systemic risks. We introduce an iterative process and present algorithms for assessing and mitigating interdependent risks. The Missouri State Penitentiary is a landmark in Jefferson City, Missouri, and is being utilized for various types of tours, however, the condition and aesthetic appearance of the prison has created concerns. This article documents aspects of service OM and sustainable tourism providing recommendations based on research and analytical techniques. Information on product sales is important in consumers’ purchase decisions in e-commence. This paper study two categories of information, online word-of-mouth (WOM) and E-commerce service quality (e-SQ) based on observational learning (OL), by data from the largest B2C platform- Alibaba.com. The findings are interesting and useful for real e-business. This paper focuses on temporal and social distance, on risk preferences. The experimental design is constructed. The results show that individuals are risk averse for their current and future decisions. However, there is a significant increase in their risk aversion when they are making a decision for the future. Social media is a rapidly growing method of both business and personal communication. However, despite the boom in use, marketers still struggle with determining the return on investment (ROI) of social media. In this article we explore the impact of social media on purchasing behavior as a measure of ROI. I explore the concept of intentional design for online learning and measure student attitudes toward online quizzes, problem solving exercises, online group work, discussion board participation, and video lectures. This paper links intentional design to a measurable instructional effectiveness model and provides practical guidance for online course design. If consumers know that an online retailer is sourcing genuine goods in an unauthorized fashion, what kinds of implications such awareness will result in? Our research finds that gray market sourcing of products is associated with lower ratings of online retailers in terms of ethical judgments, trust, and purchase intention. Educational institutions have been charged and challenged to prepare and produce globally competent graduates. Based on over ten years of rigorous research, the Global Competence Aptitude Assessment (GCAA) instrument asserts the ability to capture an individual’s capacities of global knowledge, skills, attitudes, and experiences. ABC costing has enabled companies to identify the true costs of processes and products and to make sound decisions related to the profitability of the products they produce. We explore a real-life implementation of ABC through analysis of the difference in costs resulting from the traditional costing. Using empirical data from 154 buyer–supplier dyads, we examined the direct and indirect effects (through external integration) of inter-organizational information systems usage on capabilities of buyer– supplier dyads. This research aims to find the major factors that affect customers’ perception of the service quality of Video Surveillance Service, and reasons that drive customers to keep using it. The result showed that reliability, responsiveness, flexibility, and features would be the major players in defining this service quality. In this research, we investigated the impact of ethical relativism on ethical compromise likelihood in business exchanges. We also examined the role of environmental uncertainty as moderating factor in the ethical relativism-ethical compromise relationship. The results of an experiment with business professionals have yielded partial support for our hypotheses. This study aims to explore how managerial metacognition affects a firm’s QM practices and their sustainable competitive advantages. The test results of SEM analysis (N=235) showed that there was a positive synergy effect of managerial metacognition and QM practices on the creation of a firm’s sustainable competitive advantages. After the fall of the USSR, the process of privatizing state-owned firms was accelerated. Large and small firm sizes entail different frameworks for individual decisions. Privatization of each resulted in differential impacts on economic growth. This is shown using a dynamic panel data model with time lags of privatization measures. This study compares 5,286 community banks operating in rural and metropolitan counties from 2000 through the end of 2013 on the variables attributing to bank profitability using pooled OLS, pooled time-series OLS, and dynamic panels methodologies. Published banks of multiple-choice questions usually classify questions into three levels of difficulty. Two methods of measuring the relationship of observed difficulty to published difficulty are examined with the result that the relationship does depend on how it is measured. In this study, we examine technology related creators of stress in students taking online classes. The results reveal significant inverse relationships between technostress creators and enrollment in online courses. Other factors contributing to the higher technostress creator scores included English as second language and hour worked. The literature review shows that the important interface between reverse logistics and marketing is not properly considered. By using inductive qualitative methodology, this interface is accomplished based on the use of 14 real-life case studies from various industries. Literature increasingly argues that buying organizations are responsible for the social and environmental practices of organizations further upstream in their supply chain: sub-suppliers, determined by their organizational distance. In such settings, selecting or knowing sub-suppliers, monitoring their performance and influencing them requires different processes versus dealing with direct suppliers. This study presents a framework that draws on the conceptual gist of organizational sensemaking to show the dynamic nature of information security behavior. It then situates the development of such dynamic information security behaviors in the context of organizational culture and proposes how organizational culture shapes these behaviors. Strategic international human resource management practices must fit the particular cultural idiosyncrasies encountered in the local subsidiary. In the underdeveloped Central America nations education and development opportunities are scarce, therefore; by offering comprehensive training, employers fulfill the implied social contract associated with the type of benevolent paternalism that employees expect. We study corporate turnaround in the context of large, complex legacy (LCL) organizations by examining the successful turnaround of IBM, a representative case. We find that IBM’s repositioning actions and cultural change efforts were important in turnaround success, in addition to the retrenchment and reorientation efforts prescribed by extant literature. This research demonstrates that the popular cross-tabulation chi-square hypothesis test of independence may be very sensitive to measurement error. A perspective is developed with the suggestion that additional descriptive statistics complement the basic test. This study was performed to make use of Flickr’s annotation function to support computer software learning. After users upload their screenshots onto Flickr, they can make three types of annotations to pinpoint the specific portion of the screenshot. Thus, software problems can be described and solved with greater certainty. This paper seeks to understand, via a multi-methodological study, the fluctuating fortunes of an annual international sports event over time. In particular, it sheds light on the links between brand creation, organizational effectiveness and organizational variables using the perspective of viable systems thinking first proposed by Stafford Beer. In this study, we examine the factors that influence the innovative use of social media technology in higher education. Partial least square regression is used to analyze the survey data. Results of the analysis as well as the implications are presented. An Intermediate Accounting I self-managed learning case including ethics was examined. This case incorporated many of the Pathways Commission’s Learning Objectives and the AICPA Framework elements. There was a significant difference between the pre/post tests at p = .01. About 6% of the students considered ethics in their investment decisions. Validating Regression Assumptions Through Residual Plots – Can Students Do It? In linear regression an important step is to check for the validity of the four assumptions using residual plots. It is not clear that students at this level can read residual plots well enough to make these judgments. This paper discusses the details of an experiment to assess this ability. The purpose of this paper is an attempt to understand the relationship between W. Edwards Deming’s quality management philosophy and information technology frameworks and practices, particularly Agile. We contend that current information technology frameworks and practices are often suboptimal due to lack of understanding of the larger systems views. This study examines a new form of e-commerce transactions which occurs through WeChat social networking application. The research reports WeChat shopping experience based on a sample of college students in China. It develops a model of trust, satisfaction and loyalty and is tested using cosmetic product in the WeChat channel.